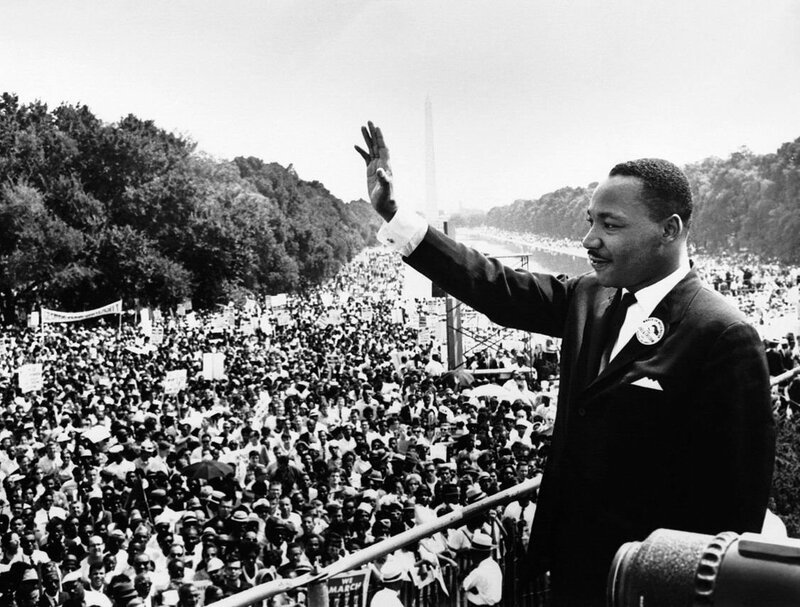 Martin Luther King Jr. addressed the March on Washington for Jobs and Freedom in 1963. “Dolores: Rebel. Activist. Feminist. Mother.” is showing at the Grand County Public Library on Friday, Jan. 18. The Moab Valley Multicultural Center is planning events to honor the legacy of Dr. Martin Luther King Jr. starting on the Friday before the federal holiday on Monday, Jan. 21. 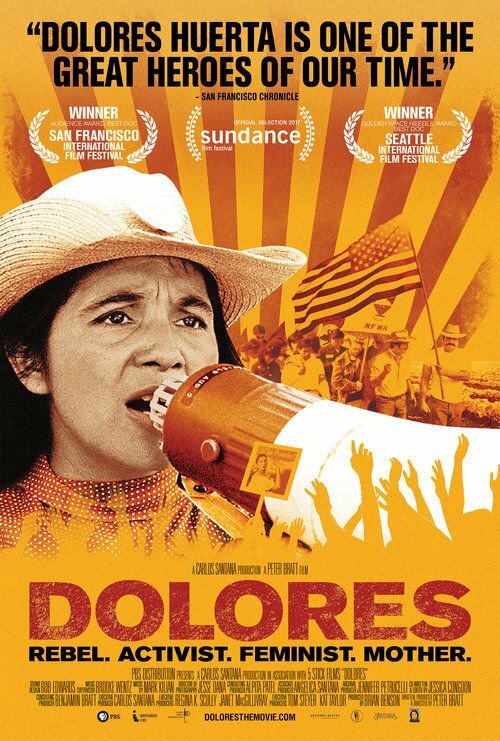 In collaboration with the Grand County Public Library, the Moab Valley Multicultural Center (MVMC) will host a free showing of the movie “Dolores: Rebel. Activist. Feminist. Mother” on Friday, Jan.18, at 6 p.m.
Onorato said that the movie complements Martin Luther King (MLK) Day as both were civil rights activists and leaders. King was a contemporary of Huerta. MVMC education coordinator, Quincy Masur, said she has seen the film and is excited to share it with others. And, Masur noted, Huerta accomplished all this while being a mother to her 11 children. According to the film’s webpage, www.deloresthemovie.com, it has been screened at numerous well-known venues since it came out in 2017, including the Sundance Film Festival, and has won a handful of awards, like the Best Documentary Feature at the Seattle International Film Festival. Masur said that after the movie, she will facilitate an open-ended conversation with the audience about their impressions and thoughts on the film, talking about what stood out to them the most, or noting what is different now because of her work. Onorato recalled that last year, they screened a film about Maya Angelou, who is featured on the MVMC’s multicultural mural at 156 N. 100 West. She said that film was “a great success,” and so they decided to show another film this year about an inspiring civil rights leader. On MLK Day, the MVMC is partnering with other organizations for short service projects in the community. The day’s events will kick off at the Moab Arts and Recreation Center (MARC) with a meet-and-greet and “Coffee With the King,” an event started in 2016 by Moab residents Sherri Costanza and her daughter, Madison Johnson. Johnson was a junior at Grand County High School in 2015 when she and other students held a protest of what they saw as the school’s disregard of MLK Day, Costanza said. Originally, the students asked for the school either to offer more educational activities about King and his work, or not hold school on that day. The school district decided to take the day off. With no school on MLK Day the following year, Costanza said they decided to offer the community an event to commemorate King, and Coffee With the King was launched at the MARC. They play the full audio version of King’s famous “I Have a Dream” speech, first delivered during the March on Washington for Jobs and Freedom in 1963. Dave’s Corner Market provides the coffee. “It’s a meeting place for conversation and having the tough talks that communities need to have,” Costanza said. This year, Costanza said, she reached out to the MVMC because she wants the event to have a wider community reach and significance. Service projects beginning at 10 a.m. include cleaning up at the nonprofit Community Rebuild’s new house at 150 S. 200 East; organizing KZMU Community Radio’s music collection and recording public service announcements at 1734 Rocky Road; creating watercolor boards for Canyonlands Field Institute students at 1320 S. U.S. Highway 191; and pruning fruit trees at the Youth Garden Project at 530 S. 400 East. Volunteers can arrive on their own at the individual sites or go to the MARC where staff members are assisting with directions. When: Friday, Jan. 18, at 6 p.m.
Organize KZMU’s physical music collection, record PSAs, 1734 Rocky Rd.